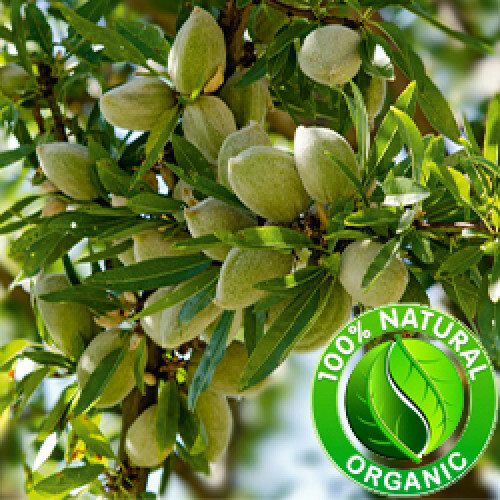 Organic Sweet Almond Carrier Oil is an excellent emollient and is known for its ability to soften and re-condition the skin. It is rich in proteins, Olein Glyceride Linoleic Acid and Vitamin D, and is considered extremely nourishing - particularly when used regularly. It can be expected to sooth dry skin and irritated areas. Massage therapists should note that it can stain sheets. Sweet Almond Carrier Oil has been used as an aromatic-bitter for anorexia, as a digestive tonic, to promote menstruation and to reduce fever and expel worms. It is also used by massage therapists.